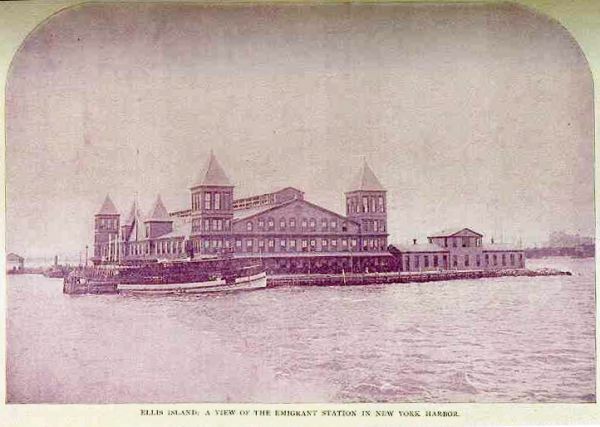 The first immigration station built on Ellis Island in New York in 1892 was a firetrap from the beginning. The main building was made of over four million feet of resin-soaked lumber, with no effort put into fireproofing. Despite multiple stories, there were no fire escapes. When the inevitable happened just after midnight on June 15, 1897, there were between 180 and 250 immigrants asleep on the island, plus the staff. The fire apparently began in the kitchen, and spread to all the buildings on the island. And since this is an article from The Hatching Cat, there was an animal involved, a heroic dog named Jack.